Allan Robert Armitage Macdonald was born in Mackay, Queensland on 17 October 1882, the eldest son of Alexander Rose Macdonald and his wife Nancy née Armitage. At that time his father was immigration agent at Mackay and inspector of Pacific Islanders. Alexander Rose Macdonald moved to other positions of responsibility in various Queensland towns before becoming under-secretary for the Department of Mines and gold warden for Brisbane in 1899. 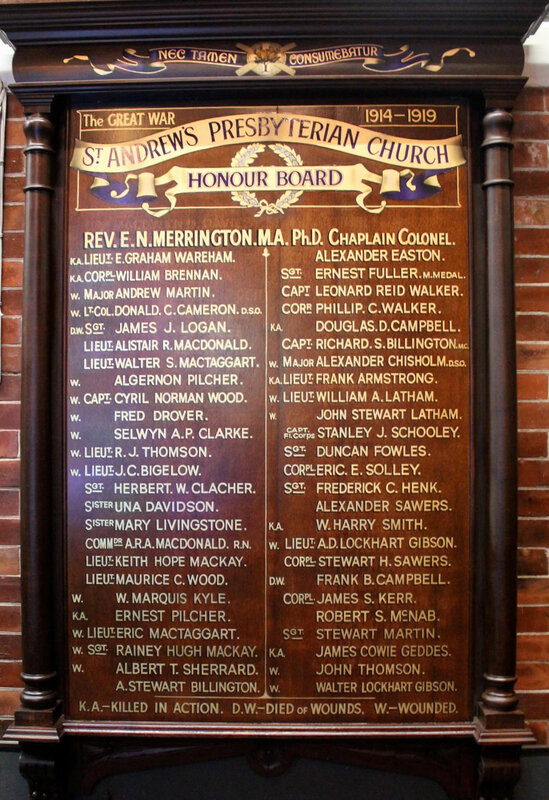 The names of Mr and Mrs A. R. Macdonald were recorded on the communicants’ roll of Saint Andrew’s Presbyterian Church in 1921 and 1923. Allan had an older sister, three younger sisters then four younger brothers. One of these brothers died at the age of 13 and is buried in the Toowong Cemetery and the names of the other three brothers appear on the honour boards in the Merrington Anzac Memorial Peace Chapel in Saint Andrew’s Uniting Church, Brisbane. They are James Shaw Rose Macdonald, Alistair Rose Macdonald and Ian Chesborough Rose Macdonald. These three were all much younger than Allan who had left home to join the navy when two of them were but infants and the youngest one had not been born. Allan Robert Armitage Macdonald enrolled in the Royal Navy at the age of 15 years on 15 January 1898. At that time, cadets joining the Royal Navy were entered into a "term" in the training ship Britannia. He was appointed midshipman on 15 October 1899 indicating he had gained enough time through scholarly aptitude and good behaviour before leaving for the fleet. He joined Royal Arthur based in Australia Station1 on 15 May 1899 and gained passes in seamanship, mathematics, navigation, pilotage, gunnery and torpedo during the years 1902 and 1903. He also served on Pylades while stationed in Australian waters and Canopius in the Atlantic Fleet from 1905 to 1907. From 22 August 1907 to 15 September 1911 Lieutenant Allan R. Macdonald served aboard His Majesty’s Ship Psyche, again stationed in Australia. HMS Vulcan, formerly a torpedo boat depot ship launched in 1889, became a depot ship for submarines in 1909. Allan Macdonald joined it from 14 December 1911 till 5 February 1913. Navy personnel records held at the National Archives of Australia indicate Lieutenant Macdonald was appointed to the Australian Permanent Naval Forces on 6 February 1913, promoted to lieutenant commander on 30 June 1913 and commander on 1 January 1918. He served during this period on HMAS Australia and HMAS Melbourne. His temporary service with the PNF concluded on 15 August 1918 when he reverted to the Royal Navy though he remained on Melbourne till 1 February 1919. It is recorded that when the German Fleet steamed out of its bases to be interned at Scapa Flow in November 1918, the Grand Fleet came out in two divisions to meet it. The Royal Australian Navy’s flagship, Australia, had the honour of leading the port line at the head of her squadron. Melbourne and Sydney were also there taking their places among the light cruisers. The surrender of such a fleet without a battle was unprecedented. “The war at sea is one aspect that often receives little recognition, yet its significance to the outcome was by no means secondary. “To put it simply, the war could not have been won if the Allied countries had not been supplied with adequate quantities of food for their people and raw material for their industries. Neither could their armies have been sustained in the field without adequate munitions, logistic supplies and regular reinforcements. As ever all this cargo had to be moved by sea, and thus the maintenance of adequate shipping tonnage remained of prime concern throughout the war. After the war Commander Allan Macdonald remained in the Royal Navy. From 20 March 1919 to 1 March 1921, he served on HMS Gibraltar, an Edgar-class cruiser launched in 1892 for service in the Royal Navy. When Commander Macdonald joined her she was a depot ship for the 10th Cruiser Squadron on Northern Patrol based in the Shetland Islands. He served in the Rhine Flotilla on Motor Launch 29 from 1 March 1921 to 1 April 1923. Other appointments included periods of service on HMS Vivid, the depot ship for Navy Barracks at Devonport, HMS President moored permanently in the Thames as a Royal Navy Reserve drill ship, HMS Ajax on becoming the ship for a training establishment known as School of Refresher Flying. said Captain Ashton in 1918. He was credited for a “high degree of smartness and efficiency in Rhine Flotilla” in 1922 and he was often praised for his ability as a disciplinarian. Commander Macdonald widened his naval experiences in various ways at Royal Naval College, Greenwich in 1923, Dartmouth 1924 and Glasgow 1926. Allan Robert Armitage Macdonald was placed on the retirement list at his own request with rank of captain on 31 March 1929. At St Alban’s Church, Stockport in Cheshire, England on 19 February 1919 the marriage took place of Nancy Armitage Ramsden and Allan Robert Armitage Macdonald. They had two sons: Donald was born in 1923 and followed a military career reaching the rank of lieutenant in the Queen’s Own Cameron Highlanders Regiment but died in 1946 in Jakarta, Indonesia. Allan Macdonald was 45 years old when his second son Sandy was born. Sandy died in Bath, Somerset in November 2010. In their retirement Allan and Nancy Macdonald settled at The Lodge, Frampton-on-Severn, a parish and village in Gloucestershire on the navigable river Severn and on the Gloucester and Berkeley ship canal. Captain A. R. A. Macdonald (Royal Navy, retired) died at Frampton-on-Severn on 17 June 1942 at the age of 59 years. Nancy died there too in 1989 at the age of 98. 1.The Australia Station was the British and later Australian naval command responsible for the waters around the Australian continent. 2. Rear Admiral James Goldrick transferred to Royal Australian Navy Reserve in June 2012 after 38 years of service. He was awarded Officer of the Order of Australia at the 2013 Australia Day Honours for distinguished service as Commander, Border Protection Command, Commander, Joint Education and Training, and Commander of the Australian Defence Force Academy and for outstanding scholarship in the study of Australian naval history.